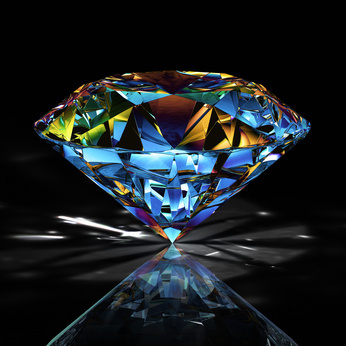 Welcome to Novel Gems ~ Killing Secrets 04–09-13! Rachel questions the path before her…and that’s all you’re getting! With Katy’s proposal to make her a partner now on the table, she had every reason to return to Texas. After two years of backbreaking work to save her older friend’s livelihood after Greg destroyed it, she had a personal stake in seeing its continued prosperity. Yet, despite the cane, Katy’s health no longer kept her from running her own affairs. She had well-trained managers for all three nurseries now. She didn’t need Rachel any longer. The truth was Rachel needed Katy. Rachel’s intentions had originally been to get her friend back on her feet after Greg’s incarceration, then leave. However she’d also found a hole to crawl into, a place to lick the emotional and physical wounds she’d sustained during her disastrous marriage. And, for the first time in years, she’d found peace and some facsimile of contentment. Katy recovered. The question was, had she? Her dream was always to have a landscaping business of her own, but was this the way she wanted to get it? Once Great-aunt Amanda’s estate was settled, Rachel could buy her own nursery. A whole franchise of nurseries! For that matter, she could quit working altogether and fill her life with luncheons and cocktail parties as her mother’s family expected of her. It wasn’t the life she wanted for herself, for Amanda. She’d watched first her father and then her husband take the easy road, never working for something they wanted. So the question came down to one thing. Would she return to Texas because she wanted a stake in Kolthern Nurseries, or was she simply looking for the easy road and a familiar bolt-hole to dive into so she could lick fresh emotional wounds? The tears running silently down her cheeks suggested the latter. Am I in error, or was this published previously. It sounds very familiar. I know I read that somewhere. Hmmm, I didn’t think I’d shared this passage but if you recognize it, I guess I did. When I was looking for something to share this week, I didn’t remember posting it before. Sorry to repeat!